The Colombian half of this team is very happy to write an article about her home country. This is a quick overview of the places you should see and the foods you should try in your first visit to Colombia. I am also going to give you a quick lesson in Spanish, that will hopefully help you to communicate with the locals. Learn how to spell the name of the country. It’s Colombia, not ColUmbia. Don’t go to Colombia looking for drugs. Don’t make jokes about Narcos. Be ready to meet the nicest people in the world. Yes, as long as you’re smart. We have everything in Colombia, stunning white-sand beaches, the Pacific and Atlantic Ocean, the Caribbean, the Andes, the Amazon, deserts, diverse wildlife and a great variety of people, colors, smells, fruits and food. Colombia is the second most bio diverse country on Earth, so be prepared to see things here that you have never seen before. 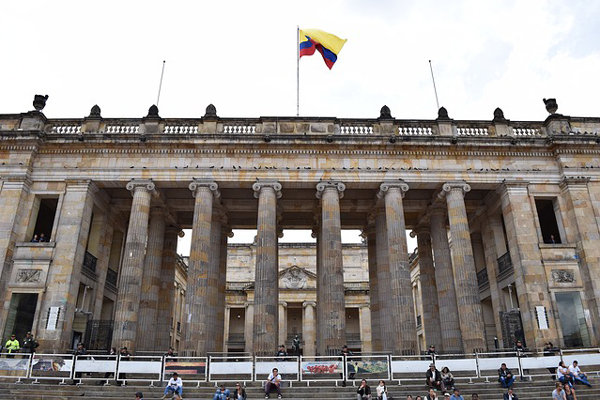 Colombia has 32 departments (political divisions) which are all very beautiful and have their own charm. But if you don’t have the time to visit them all, these are the top places to visit in your first trip to this gorgeous country. The capital city is a lot of times overlooked and skipped, which is a shame because it’s indeed a very interesting place to visit. I believe you can’t really know a country if you don’t know it’s capital city. Although, be warned that traffic is horrible and the weather is cold. Bring a jacket! Going to El Museo del oro (Gold museum) to see how much gold we used to have before colonization, and the cool things our ancestors did with it. Walking around the Historic Downtown and La Candelaria, where you can appreciate the colonial architecture that the Spanish left behind, plus a lot of history to understand our country better. 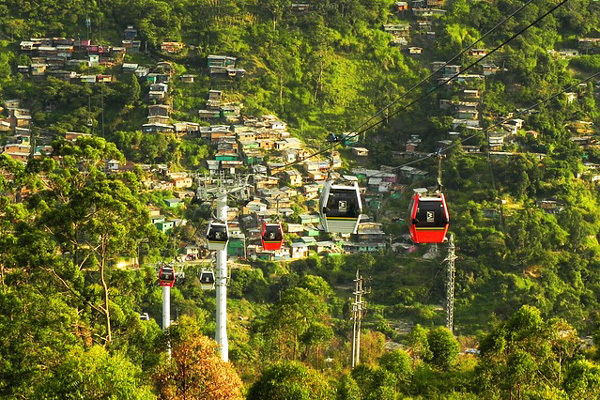 Climb Cerro Monserrate for a mind-blowing view of the city. Bonus points if you use the steps instead of the cable car. You will see locals along the way paying their promises to God. Sometimes climbing on their knees, or barefoot. Dinning and clubbing in La Zona Rosa, the most upscale part of the city, where you can experience fancy restaurants in La Zona T and Parque de la 93 along with clubs and discotheques. Wandering around Usaquén. It feels like a little town inside of the city. It has a square, a church, cobblestone streets and colonial houses. Plus restaurants, bars and a flea market. 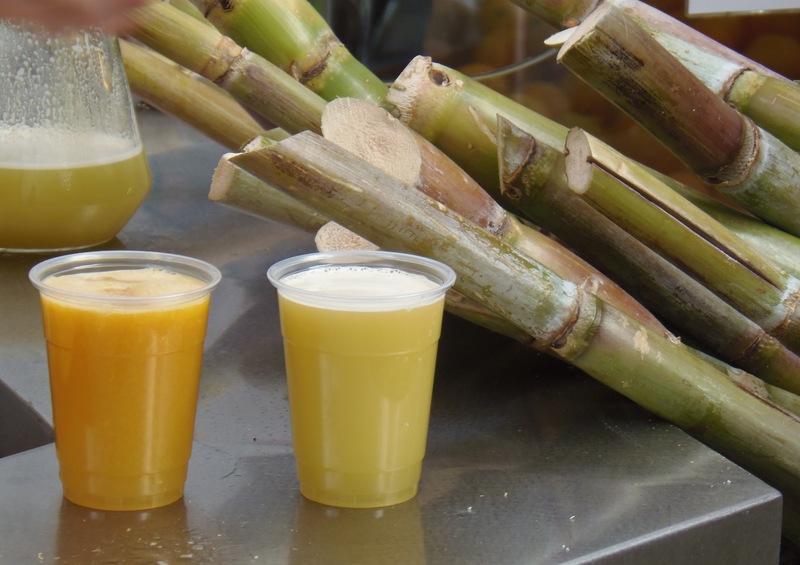 Going to El Chorro de Quevedo and drink Chicha, an alcoholic drink made with fermented maize that comes from our pre-colonial times. May be an acquired taste, but definitely worth a try. Living the best nightlife in Chapinero. It has a more authentic feeling. This is the University area of the city and where middle class young people hang out and party like only Colombians do. Walking along Avenida Séptima. On Fridays it gets full with street artists, musicians and local events, usually involving some sort of dancing. Exercising with the locals in La Ciclovia. Every Sunday and holiday from 7:00 a.m. to 2:00 p.m the main roads of the city are closed for cars, so families can go biking, jogging, rollerskating etc. It doesn’t get more local than that. Just take a Transmilenio (out of the rush hour) get a window and go from Portal to Portal to see different neighborhoods. 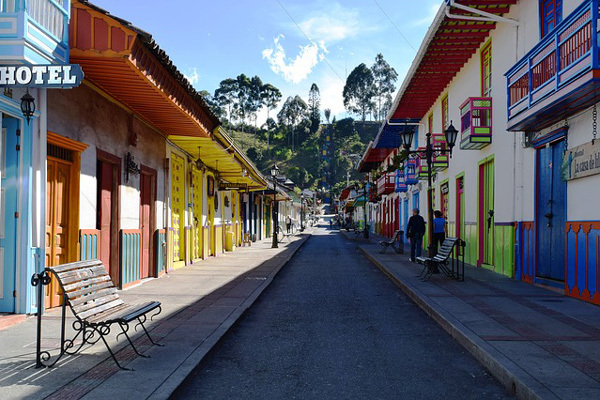 Not only Bogotá is fun, but there are many towns around the city that are worth a visit too. I choose these 2 because they are the most remarkable ones, but there are many more that you can visit on a day trip. 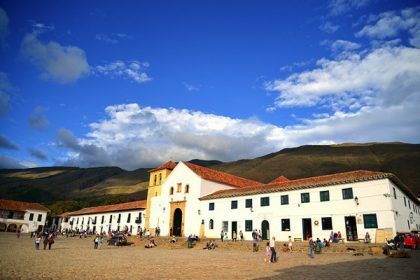 Villa de Leyva: The so-called most beautiful pueblo in the country, it maintains its colonial architecture and cobblestone streets. It is very popular during the weekends, so it’s better to go on a week-day. Take the 3 hour long bus from Portal del Norte and spend the night there to get lost in its charm. 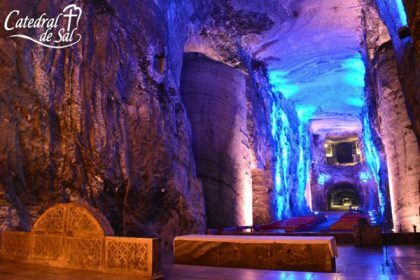 Zipaquira: Famous for the salt cathedral built underground inside a salt mine. It is only 1 hour away so you can do it as a day trip. Take the bus from Portal del Norte to “Zipa”. A walk around the town is a very pleasant one. 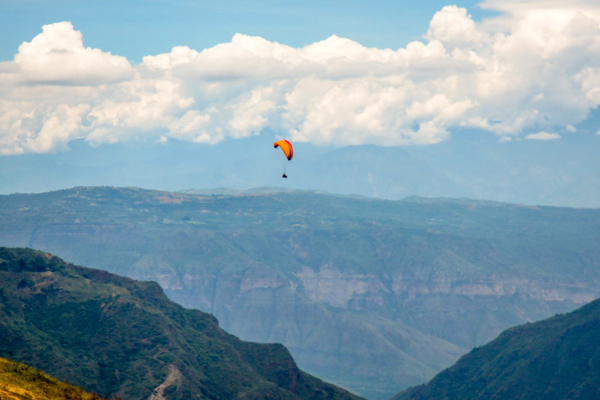 Depending on how much time you have, also consider visiting La Calera, Chiquinquira, El Parque Jaime Duque, Chia, Funza, Tocancipá, Facatativá, Fusagasugá, Chingaza National Park, all very popular with the locals. Known as the city of beautiful girls and spring-like weather, Medellin is the most popular city with foreigners and expats. It has a better transportation system than Bogotá and it is smaller . There are many tours to the Comunas, to which you can access via Metrocable or escalators. Check the info here: Zomoz Colombia. La piedra del Peñol: It is a must! The rock itself is a big natural formation and the hike up is worth for the amazing views you get from the top. It is probably the best view in Colombia. 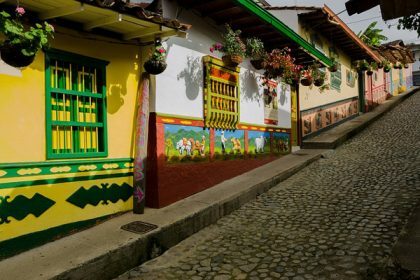 Guatapé: Right next to La Piedra del Peñol, it is a very pretty colorful town where all the buildings are painted with scenes of local daily life. It is so colorful and cute that it almost makes you think it was build by children. 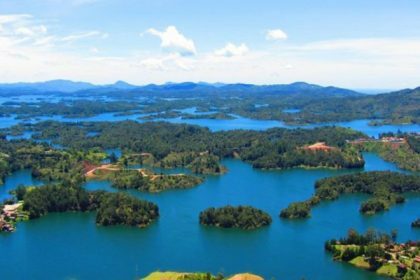 You can visit both Guatapé and La Piedra del Peñol from Medellin in a day trip. It is about 2 hours away and you can take the bus from the Terminal del Norte. If you have more time, consider visiting Santa fe de Antioquia, a beautiful colonial town 50 miles away from Medellín, full of history, colonial architecture and charm. Also San Antonio de Pereira is very popular with the locals, as well as Llanogrande. Beautiful city with colonial architecture, a walled city and a castle located right in the Caribbean. It is them most beautiful city in Colombia and the Caribbean. The city was the most important port in America for the Spanish settlers and this is where they kept their treasures, that’s why the built the fortifications around the old town. This was also the place where many African slaves were freed and you will be able to appreciate the ethnic mix that makes Colombia so varied, interesting and colorful. 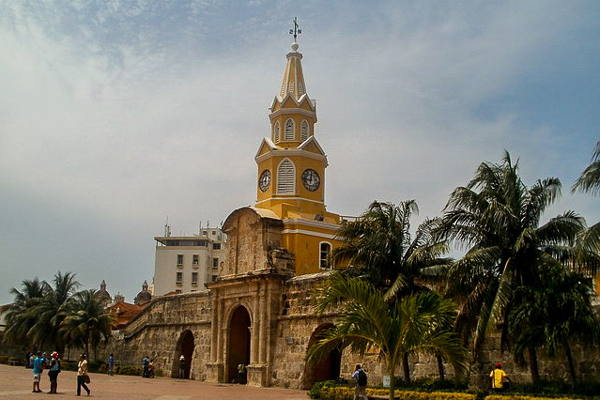 But Cartagena is not only a colonial city. 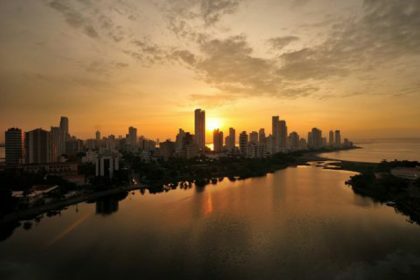 There is also a modern part with elegant tall buildings in front of the beach, all-inclusive resorts and hotels and upscale bars and restaurants. It looks like a little Miami. Observe the beautiful details of the city. See the colors, the textures, the designs of the colonial houses and squares. Pay attention to the people, their dresses, the way they carry their products in their head, the way the city is painted, the food vendors, etc. 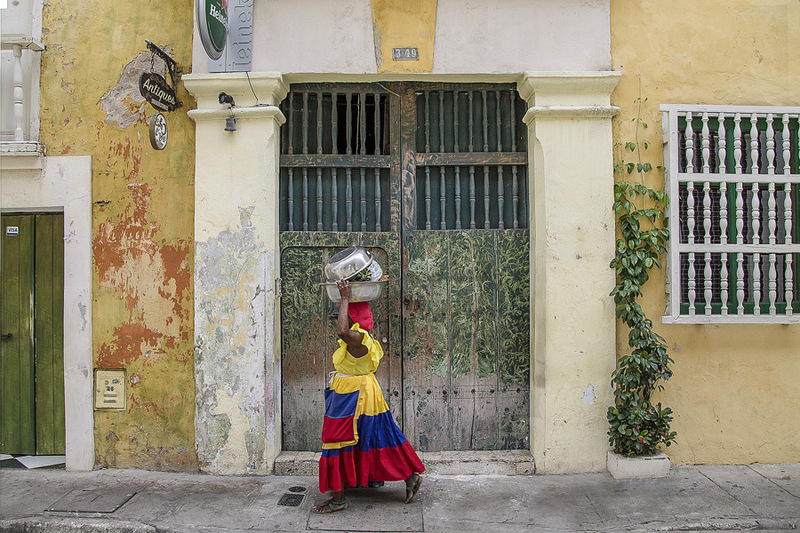 Everything is beautiful and colorful in Cartagena. Walk around the streets of Centro Histórico and Getsemaní, the oldest part of the city and imagine how was life there during the colonial times. Take a stroll next to the wall and appreciate the architecture of this fort built in the colonial times. Visit the Castillo de San Felipe, which is actually a fortress. It is better to visit with a guide so you can understand what are you looking at. There are tunnels and hideouts where the military used to hide to protect the city. Visit at least one of the many churches in the historic center. Go to the Museo de la Inquisición, where you will see how the Spaniards tortured and punished people accused of crimes against religion. Visit el Convento de la Popa, on top of a small hill you get a nice view of the city and the port, in addition to a visit to the beautiful Santa Cruz Monasterio, built in the 17th century. Nightlife in Getsemaní is very special, you will get to appreciate all the cultural mix and flavor of the Colombians. Do la Ruta de la salsa (Salsa route) that will take you to the best salsa bars in the old town. 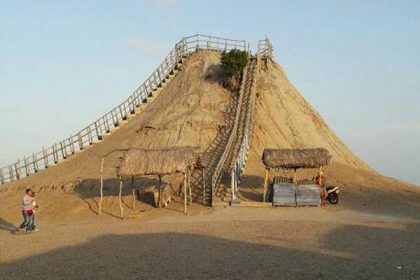 Be warned though that the beach in Cartagena is not that impressive. But don’t be disappointed, the truly stunning beaches that will blow your mind away are just a short trip away. Playa Blanca: It really is one of the most beautiful beaches in Colombia! 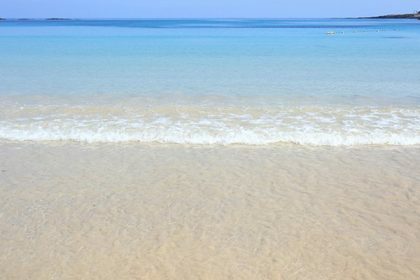 White sand and turquoise water, you want to come here in a week-day as it gets very crowded during the weekends. You can get here by tourist boat, or on your own by bus + mototaxi. I would recommend to spend the night in one of the huts right on the beach. 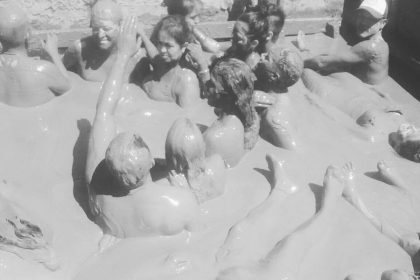 Volcán del Totumo: So, this is a volcano that you can climb up, get inside the crater, sit on the warm and dense mud with 10 more people, get mud all over your body, look silly, play with the mud, enjoy the healing properties of the mud, get a massage from a local lady, tell everybody that you took a mud bath in a volcano in Colombia. How cool is that? My favorite place in Colombia! Santa Marta is the oldest city in South America and it is a nice colonial town between the Caribbean and the Sierra Nevada (snowy mountains). It is also where the highest coastal mountain in the world is located. The city itself is nice to walk around to see its colonial architecture, it has good restaurants, fun nightlife and some good hotels, but the beach is not impressive and most tourists stay either in El Rodadero or Taganga. Both are just a short trip away by local bus. 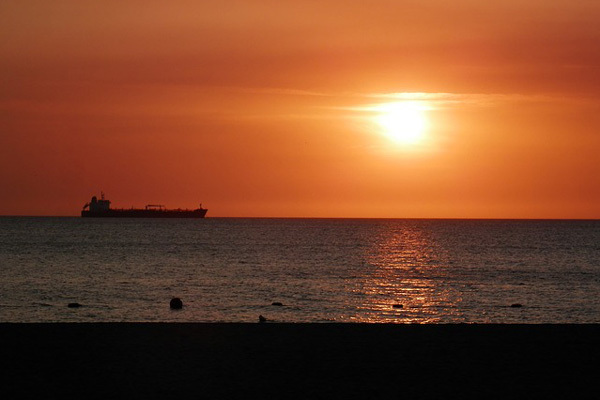 El Rodadero is the upscale part of the city with the nicer hotels and resorts, while Taganga is more of a hippie town. Visit la Quinta de San Pedro Alejandrino, the last home of the Liberator Simon Bolivar and where he passed away. 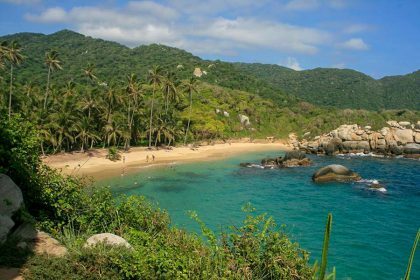 Tayrona National Park: It is the place where the Sierra Nevada meets the Caribbean. 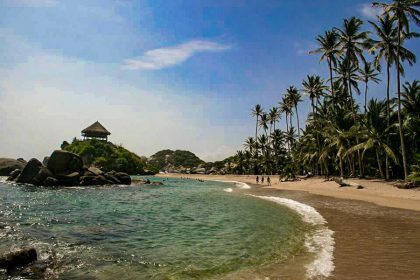 It’s a spectacular natural park with the best beaches in Colombia. It’s huge so I recommend you dedicate at least 3 days (but hopefully more) to explore it. The best way to visit it is to go by your own and camp there. The bus leaves from the market in Santa Marta, you get off at the entrance of the park, pay your entrance and start walking in the jungle until you reach the first camping spot. The walk can be long, but very beautiful! You don’t need to bring any camping gear, there are tents with mats for rent, and cheap restaurants. You can also rent a hammock and sleep in the open. The next day keep getting further into the park until the next camping spot in Cabo San Juan, the most popular and gorgeous beach! There are many beaches in the park, but you cannot swim in all of them due to the strong currents. Pay attention to the signs. Ask for a map at the entrance and explore on your own the lesser known beaches. Ciudad Perdida (The lost city): The so called Colombian Machu Picchu it is one of the most amazing treks you can do in South America. You need at least 4 days to do it, you will walk around 50 km and you have to join a tour to do it. This is nature and adventure at its best. You will be in the middle of the jungle and will see the most amazing and scenic landscapes. 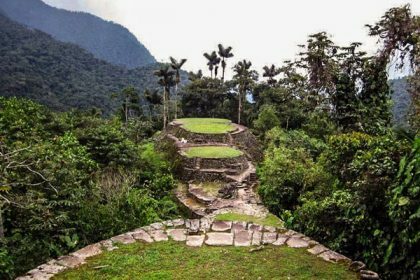 You will also meet the indigenous communities of the region and when you reach Ciudad Perdida you will be amazed by the circular platforms where the city was built. Keep in mind that this city was built in the year 700, was abandoned in the year 1600 and was buried for 400 years, until it was discovered in the 70s. Buritaca: This is where the river meets the ocean. The result? A beach with both salt and fresh waters. You can swim in the ocean and when you get tired of salty water, you jump in the river to wash it off. The background? Just the most amazing Sierra Nevada. Minca: It’s a small town in the mountains to relax and have a break from the heat. Here you can visit waterfalls, farms and local communities, go hiking, mountain biking, bird watching, . Hike to the view point in Cerro Kennedy where you can see Los Nevados. This is where you get to see snowy peaks, the Caribbean and the city all at the same time. It is the highest snowy mountain close to the ocean in the world! The Colombian coffee Region or the Coffee Triangle: This area is located in the mountains and the 3 main cities that compose it are Armenia, Pereira and Manizales. Visit at least one Hacienda in any of these cities to see how coffee is produced. The city itself is nice. It has some museums and parks where you can learn more about the coffee culture in the country, but most of the activities are out of the city. Armenia is located in the mountains, so there are many activities for hiking, trekking, visiting coffee farms, practice extreme sports etc. Don’t miss El Parque del Café, an amusement theme park dedicated to coffee 12 kms away from Armenia. 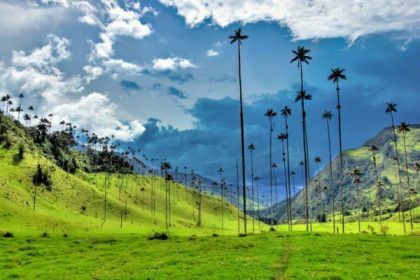 The highlights of this area are Salento, a very beautiful town in the mountains with colonial houses and amazing mountain views, and Valle del Cocora, a valley in the mountains full of wax palms, our national tree. The views in this valley are one of the most beautiful in the country. The city is not really a tourist destination, but it is a nice pace to relax, see the local life, get off the beaten track and enjoy coffee. There are nice parks and squares in the city, the Viaducto César Gaviria Trujillo is interesting, and there is a statue of Simón Bolivar naked that is very popular. 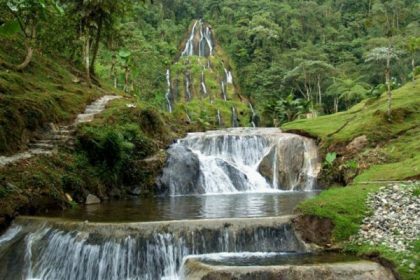 Since Pereira is in the mountains, there are a few national parks like Parque Regional Natural Serranía Alto del Nudo to go hiking, explore waterfalls, and enjoy beautiful views. There are also many day trip options, like going to Termales de Santa Rosa del Cabal, thermal baths next to an amazing waterfall. 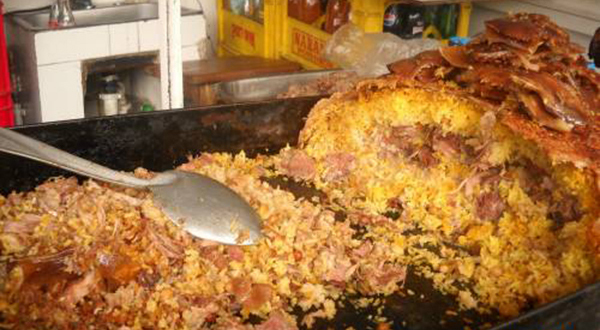 While you are in the area you must have a Chorizo santarrosano, the typical dish of this region. It’s very famous because it really is delicious! See the snow and a glacier in Nevado de Santa Isabel, 5 hours away from Pereira it is a snow peak at 4,965 m,a,s.l. In the way you will see lakes and waterfalls. It is a difficult hike, but very rewarding. Plus, the path is in very good conditions and you reach the top the same day. The main city in the coffee triangle, Manizales is located 2,150 m,a,s.l and you can see the Nevado del Ruiz from the city. Since Manizales is in the mountains, the streets can be very steep and crocked, (similar to those in San Francisco). The city is nice and has many options to keep you entertained. Don’t miss Parque Observatorio de Chipre, a view point where you can see the Andes, the Cauca river and coffee plantations. 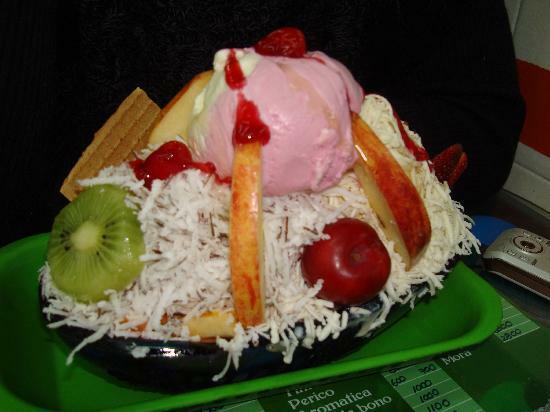 Outside of the city go to Parque de los Nevados. It is a park in the Andes where you can find the famous snow peaks. Here is where El Nevado del Ruiz is located. This is the capital of extreme sports and eco-turism. 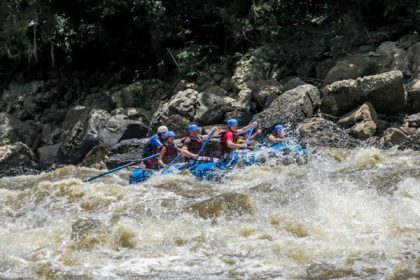 If you are an adventurous traveler San Gil is the perfect place for you. It is a small town in an amazing location surrounded by mountains, rivers, caves, waterfalls and one of the biggest canyons in the world. The city itself is also very charming and your days here are going to be unforgettable. There are may agencies in the city that arrange this trips for you, walk around and see which ones you like better. Hostels and hotels usually help organize tours for their guests as well. 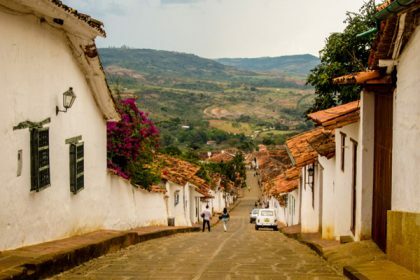 While in San Gil, don’t skip a visit to Barichara, a colonial town in the competition for the most beautiful pueblo in Colombia. Walk around and admire the colonial architecture. From here you can do the Camino Real hike between Barichara and Guane. It is a very easy and beautiful hike, and at the end you can take a bus back to San Gil. Since Colombia is almost in the Equator, we don’t have seasons. What we have is different altitudes and lots of mountains. This means the weather is different in every city depending on its altitud, and it is stabilized throughout the year with slight variations due to the time of year and amount of rainfall. The dry season normally occurs December – January & July – August. The rainy seasons normally occurs April – May & October – November. However, the weather can be very unpredictable. Sorry! If you are going to a city in the mountains: Bogotá, Medellin, Manizales, be prepared for it to be cool. Except Bogotá, which is downright cold all the time. If you are going to the coast, or low lands, it is going to be hot or very hot and humid. The cool thing about this is that you can change weathers very easily. When I lived in Bogotá and wanted a break from the cold, I only needed to drive 1 or 2 hours to a town down the mountain and I was in happy warm holidays right away! 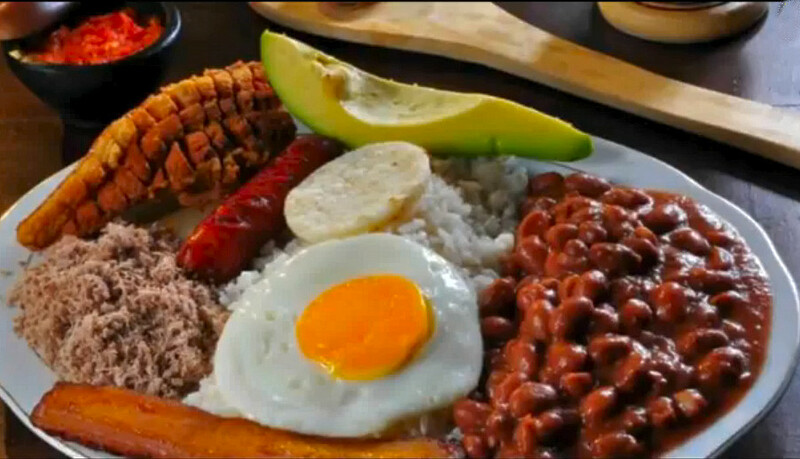 Colombian food is enormously varied. Since we have different climates, we can grow many different things. If you go to a market, you will be surprised by the amount of fruits and vegetables that you probably haven’t seen before. Our dishes are big and at lunch time it usually involves a soup plus a main dish with rice, potatoes, meat and vegetables or grains (like lentils, chickpeas, beans etc). If you want to eat the local way, go to a local restaurant at lunch time and ask for Almuerzo casero or Almuerzo ejecutivo or Menú del día. This is a set menu, it is the cheapest option and it is what we eat everyday. Note: Chocolate con queso is a must. At first, it might seem weird to have hot chocolate and a piece of cheese, but trust me, it is delicious! 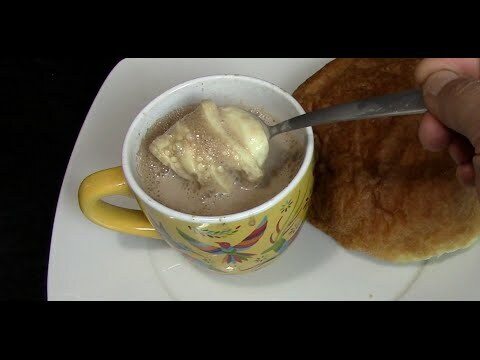 You need to use your hands to cut the cheese in small pieces, put it in the hot chocolate and let it sit in the bottom. While you drink the chocolate, the cheese will be melting and at the end you can use a spoon to eat the melted cheese. It’s soooo good! 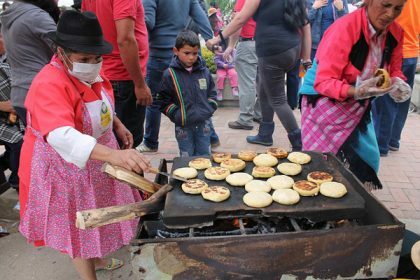 The best thing is to accompany it with an almojábana or buñuelo for breakfast or afternoon snack, especially while you are in Bogotá. 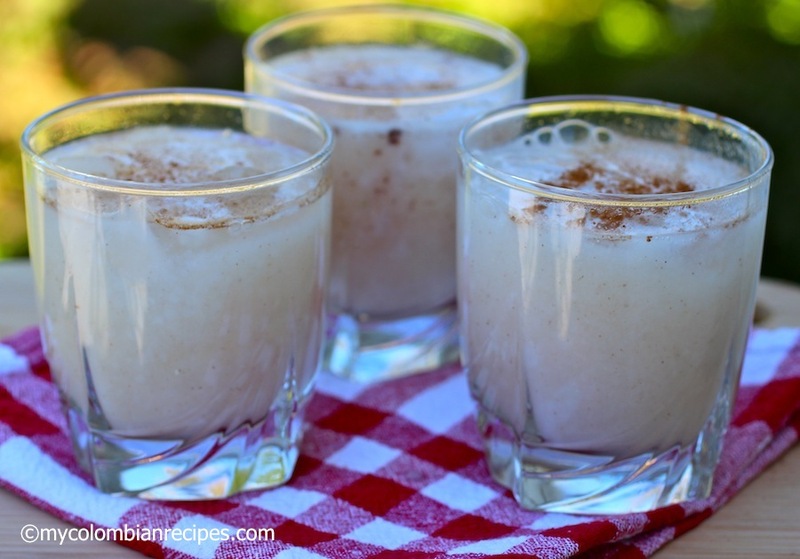 You can do the exact same thing with Agua de panela y queso. There are many ways to say things in Spanish, this is what we use more commonly in Colombia. ¿en dónde queda ….. ?– where is …. ¿cuánto cuesta ….? – what´s the price of …. ¡Me encanta Colombia! – I love Colombia! Hope you have a great time in Colombia! If you have any questions, leave it in the comments and I’ll reply. Thank you! Enjoy your trip!!! Exceptional post, Mafe! Great job!